Here at RANLife Home Loans, we jump at the opportunity to help build community support. One of the most satisfying, fun, and productive ways to unite is through community events and fundraisers; it brings us together closer as coworkers, friends, and family. This brings us to a close family member of one of our very own RANLife team members, Charlee Nelson. Charlee is one of the only known children in UT living with Late Infantile Batten Disease (http://www.bdsra.com), a condition that will take her life within a few short years. 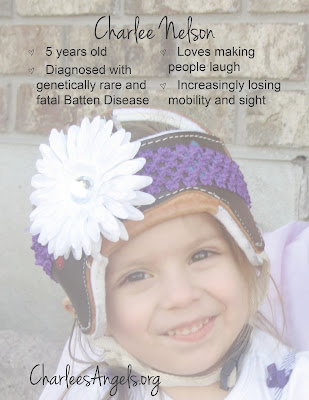 Charlee started having frequent daily seizures at only 3 1/2 years old and she and her family have endured 21 long months of testing to find this rare genetic diagnosis. This process has taken a major emotional and financial toll on her loving family, who would od anything for their little angel. Charlee's family and friends started a support group named, Charlees Angels, where other community members as well as family and friends can gather in support for this young girl. They hose marathons, tournaments, and other local fundraisers to aid in the cost of her treatments. The next event is coming up right away! RANLife Home Loans is proud to announce that they will be sponsoring the Charlee's Angels 5k benefit coming up on September 7th, 2013. More information on the benefit can be found below or by clicking here. We would like to encourage anyone interested to get involved! 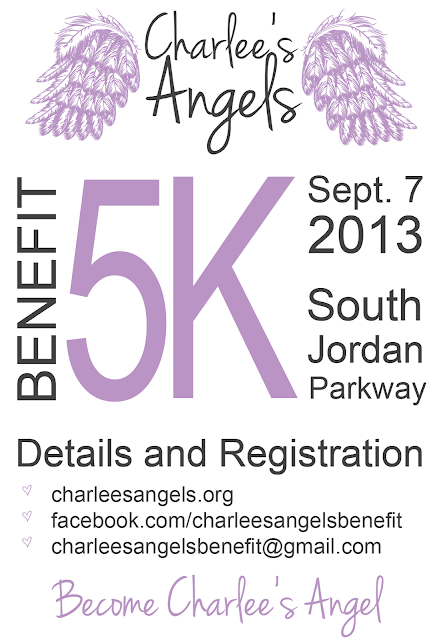 If you live in the Salt Lake area you can participate in the race by registering here. If you do not live in the area, or would rather make a donation directly, please donate online by clicking here. More information on both Charlee, Charlee's Angels, and their fundraising events please visit www.charleesangels.org.